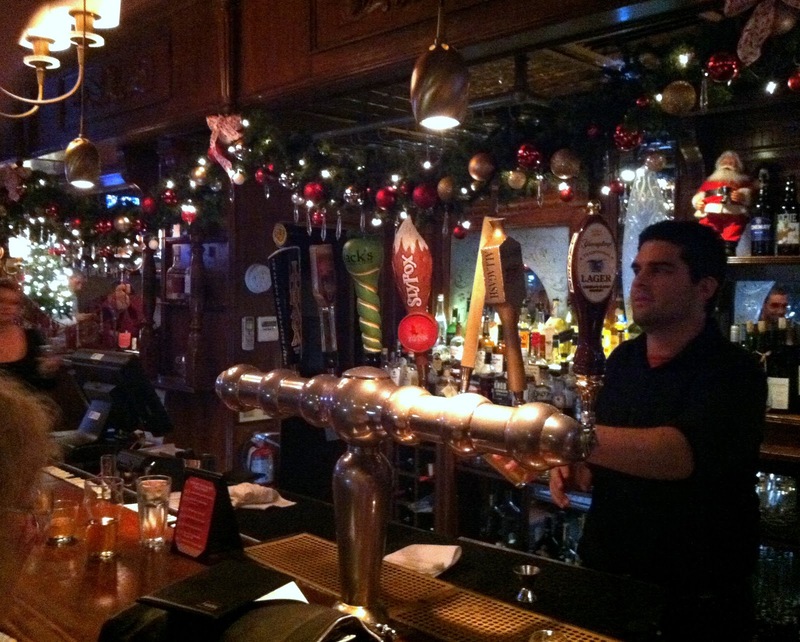 One of our favorite things to do during the holidays is grab a glass of wine or beer at one of Philadelphia's coziest and most festively-decorated bars. In addition to the fun spots you always hear about this month like McGillins, here are some off-the-radar suggestions to feel merry and bright during the holidays. Caribou Cafe - Order a smooth pinot noir, let cute french music serve as your soundtrack, and admire the white lights twinkling among the holly decorations. Sitting at Caribou Cafe's bar during the holidays transports me right back to a classy night in ol' Paris. It is a must-visit for just a glass of wine, or to grab one of their delicious crepes, a classic entree or a bowl of french onion soup. Great date place for that special guy/gal, too. Black Sheep - You can't beat the giant roaring fireplace at Black Sheep. It's a small space but if you're lucky enough to get one of the few picnic-style tables/benches near the back, it's one of the coziest spots in town. The upstairs dining room and tiny bar are equally as inviting, sans fire. The food menu has grown in the last year, too, with many comforting options like pulled pork, sliders and mussels. 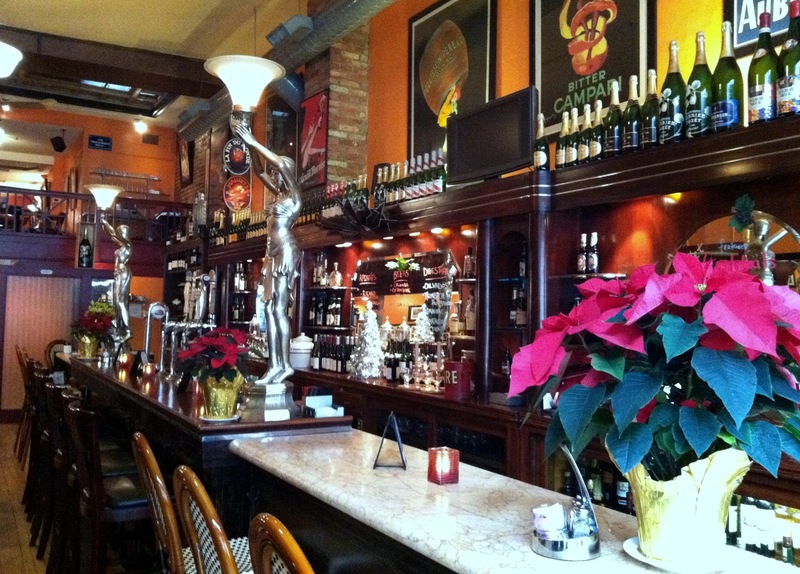 It's a good spot to stop in after a long day of holiday shopping in Rittenhouse or to meet a friend for a catch-up drink, though it can get really crowded later at night. If you have trouble finding it, walk south on 17th Street past the Warwick Hotel and it's on your left. I've advised many a lost bar tour participant how to get there. Bridget Foys - Festive decor, not loud, comfortable bar to sit at. 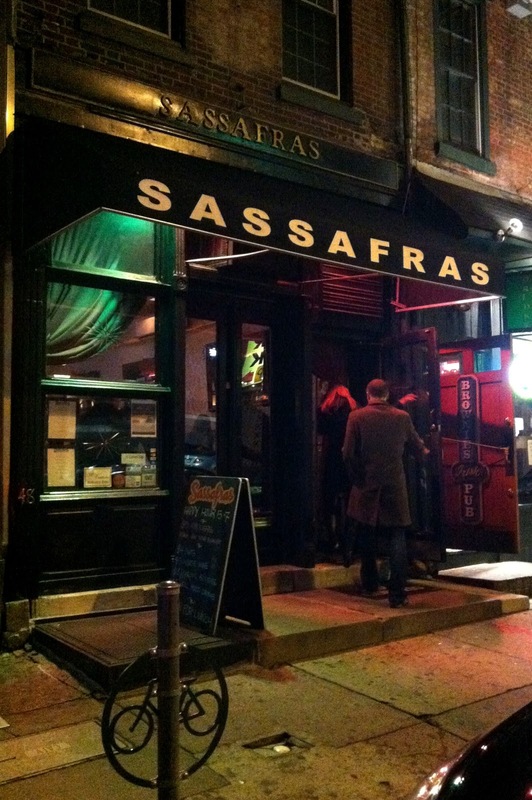 High top tables to watch the South Street traffic hustle by and good apps like cheesesteak croquettes to pick at with your wine/beer. I particularly like the hand-cut french fries that come with dipping sauces. Bradd tried the burger last weekend and really liked it. We actually had our wedding rehearsal dinner here, too, and recommend the upstairs private rooms for parties. Irish Pub at 20th and Walnut - Ok, ok. I know people either flock to or avoid this place like the plague. I prefer it as a daytime drinking spot, especially for watching a game, launching a bar tour or grabbing a beer or late lunch. The $4 beer special each day, including Sam Seasonal pints on Saturdays, is a nice perk. Plus their Country Style Chicken Salad Melt with bacon and melted farmhouse cheddar on grilled seven-grain bread is one of my (Kristy's) favorite sandwiches in all of Philadelphia. 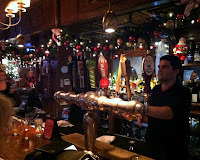 The pub is decorated nicely at the holidays and big enough to find a spot to sit/stand during the afternoon. Night time is a different story and we generally avoid it then. Headed to Black Sheep this weekend- that fire is amazing! Devil's Den in South Philly has a great fire too. LOVE the bathroom at Sassafrass! I was kind of weirded out by it the first time but it grew on me. I always wondered if anyone actually sits on that couch... I do worry though about going up and down those stairs to the bathroom. They are steep as heck.